Genetic typing of the anthrax causative agent is used in epidemiological investigations of infection outbreaks and serves as a tool for studying the evolution of this pathogenic species. Analytical, technical, and economic possibilities of the most common modern methods of genetic typing of B. anthracis have been studied on the basis of our own and published data. 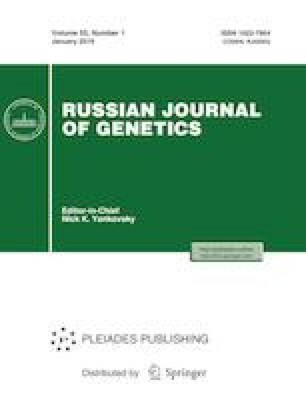 It was established that canSNP genotyping distinguishes 10 genotypes among 23 strains of B. anthracis with a diversity index DI of 0.8261. DI for MLST is no more than 0.5495–0.5790, depending on the sample of strains. DI for MLVA15, 25, and 31 is the same and equal to 0.9881. SNP analysis of the core region of genomes of 181 strains provides the highest discrimination (DI = 1). MVLST with a DI of 0.9960, like SNR analysis, reveals differences between genotypes of isolates from the same outbreak. CanSNP13 genotyping is quite sufficient as a preliminary stage of genotyping for the separation of strains into the main genetic lines. MLST of B. anthracis is impractical owing to low resolution and laboriousness, and MVLST, despite its high resolution, is impractical owing to the length and laboriousness of the study. The identity of isolates from the same anthrax outbreak can be confirmed using MLVA15–31; the subtle differences between them are the methods of SNR and SNP analysis of the core region of the genome. Afanas’ev, M.V., Kravets, E.V., Dugarzhapova, Z.F., et al., Comparative multilocus VNTR and SNP analysis of Bacillus anthracis vaccine strains, Mol. Genet., Microbiol. Virol., 2014, no. 2. pp. 86—92. https://doi.org/10.3103/S0891416814020025. Girault, G., Thierry, S., Cherchame, E., and Derzelle, S., Application of high-throughput sequencing: discovery of informative SNPs to subtype Bacillus anthracis, Adv. Biosci. Biotech., 2014, no. 5, pp. 669—677. https://doi.org/10.4236/abb.2014.57079.